When I made Lucas his postbox I started looking for The Jolly Postman book. I had suddenly remembered it from when I was in school and we were pretty much forbidden to touch it because of all the exciting letters hidden in it that inevitably would get destroyed by school children. Anyway, as I was looking it up, The Jolly Christmas Postman appeared in my search results and on an impulse I decided to buy one for Lucas and one for his cousin. We usually give the boys an advent present at the start of December; this gives us a chance to get them something Christmassy and it will get used for the whole of December rather than just for a few days before it is put away again. I thought these would be the perfect advent present. I have had the books a couple of months now and I’ve been itching to get them out and read them to the boys. I had a good look through it when it arrived and was so thrilled with it, there is such attention to detail in the illustrations and the little letters and gifts inside the envelopes are adorable. 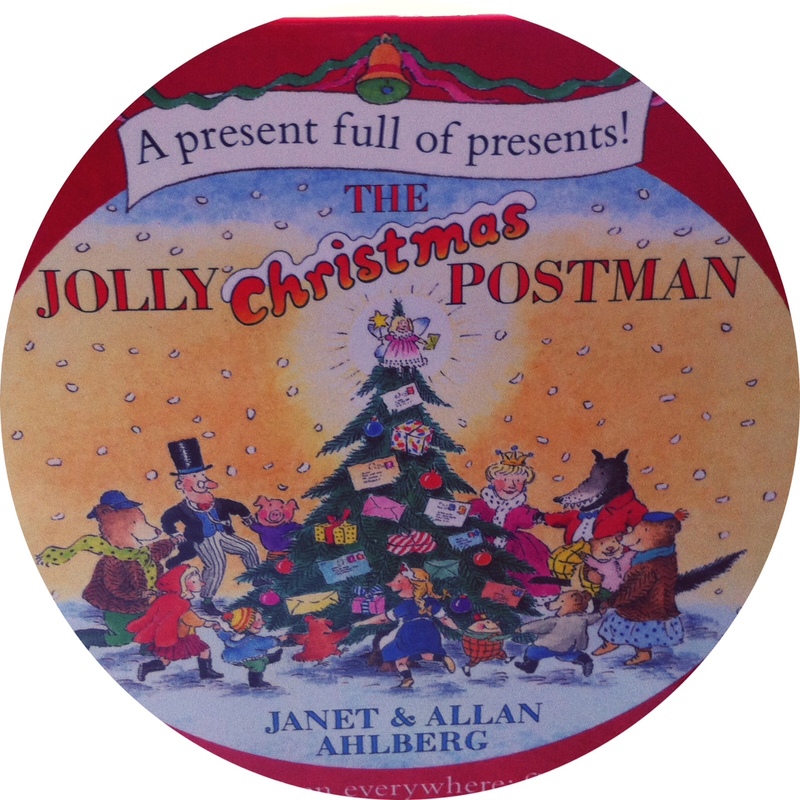 If you haven’t read the original, the Jolly Postman is making his deliveries to fairytale characters and the pages are made into a big envelope with an address, stamps and postmark on one side and a letter inside that you can fish out and have a read of too. Humpty Dumpty gets a very exciting jigsaw in his envelope and right at the end the Postman himself gets a lovely card. Some of it is tongue in cheek so it’s a book that adults won’t mind reading. As always with Janet and Allan Ahlberg’s books the writing is beautiful and great for reading to small children as it has a nice rhythm. One of Lucas’ favourite books at the moment is Peepo so I’m sure that this will be a hit. He seems to enjoy books more if they are interactive in some way, either with flaps or pop-ups so I think he will really enjoy fishing the letters out of the envelopes and putting them back in. It will be delivered to his bookshelf today and I’m really looking forward to reading it with him. He is still only young and I can see this book lasting a good few years before he outgrows it. It really is such a charming book and I’m sure it would be a firm favourite with any young children over the festive period.